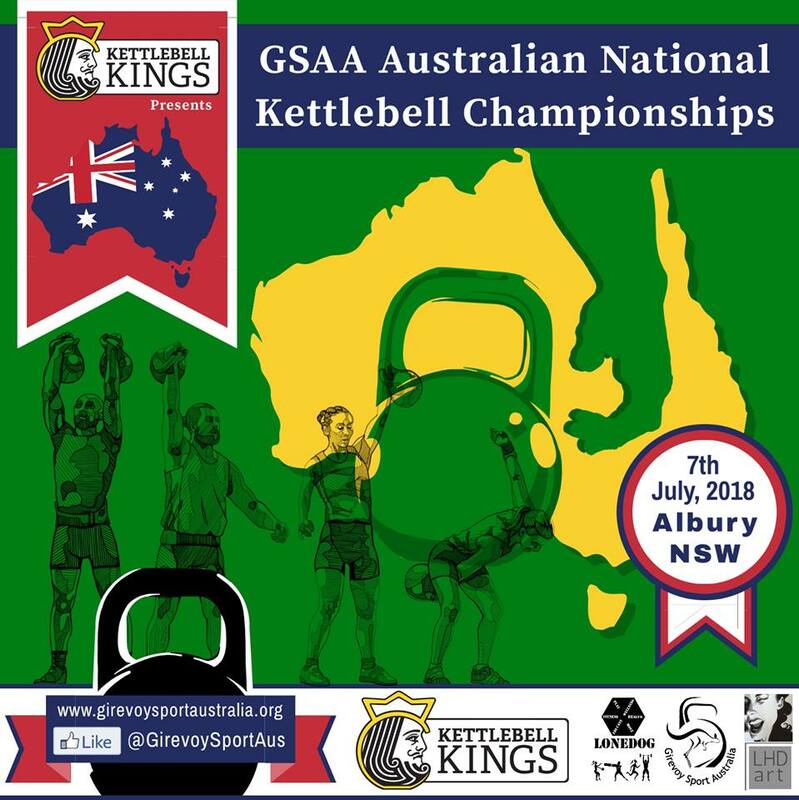 Kettlebell Kings present the 2018 GSAA Australian National Championships Competitions. Join the best lifters from across Australia for GSAA’s biggest competition of the year. These National Championships will be hosted by Lonedog in Albury and are the final qualifier for the Australian National Team representing at the 2018 IUKL World Championships later this year in Latvia. You can enter two events for the single entry price.